The Mogami Gold 1/4" TRS Male to XLR Male Balanced Patch Cable is a high-quality 4-conductor patch cable for studio use. Neglex Studio Quad #2534 cabling is used for improved clarity and freedom from noise and RF interference. This cable is terminated with black-body 1/4" TRS and 3-pin XLR male connectors, with gold-plated contacts. 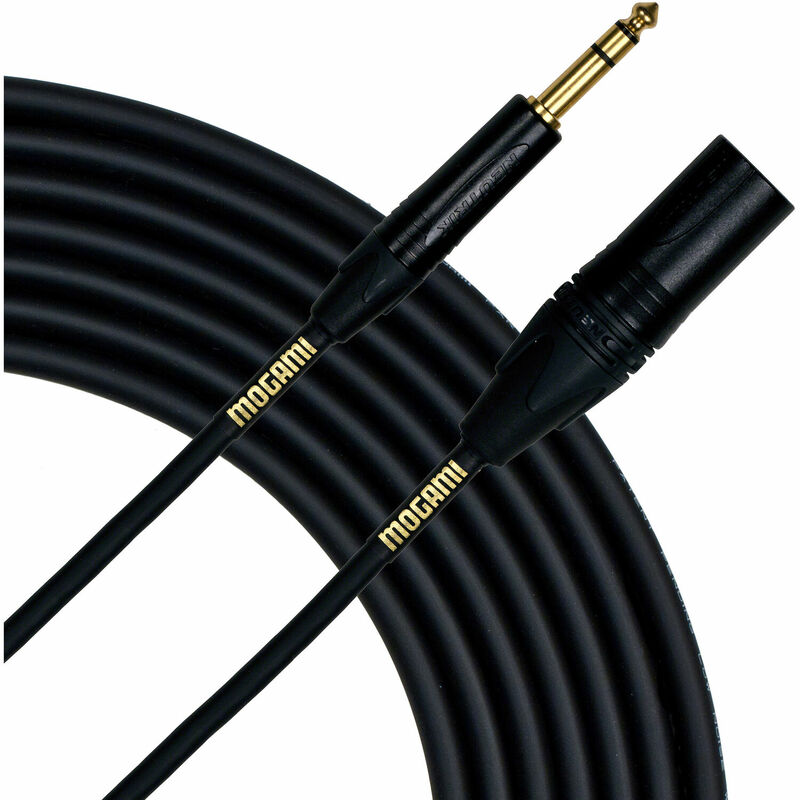 Neglex-type Quad Cables have been developed for the highest-quality recording applications where maximum definition of recorded sound is of critical importance. Special proprietary materials & construction methods make these mic cables an excellent choice for direct-to-DISC and digital recording. Basic matters of flexibility, microphonics, and shielding effect have been engineered to meet international professional requirements. The cable's balanced quad structure is effective for high-definition sound transmission and for canceling electromagnetic induction caused by nearby equipment such as floodlight projection, making the cable ideal for motion picture and TV studio applications. Box Dimensions (LxWxH) 10.3 x 5.0 x 1.0"
Gold 1/4" TRS Male to XLR Male Balanced Patch Cable (15') is rated 5.0 out of 5 by 1. Rated 5 out of 5 by Anonymous from Great Cables I use these with my Adam A8X monitors. Great performance. Great Sound.